Full transcript of former Auditor General Niyaz’s interview detailing the extent of complicity by state officials, including President Yameen and MPs, in the embezzlement of hundreds of millions of dollars from state coffers. 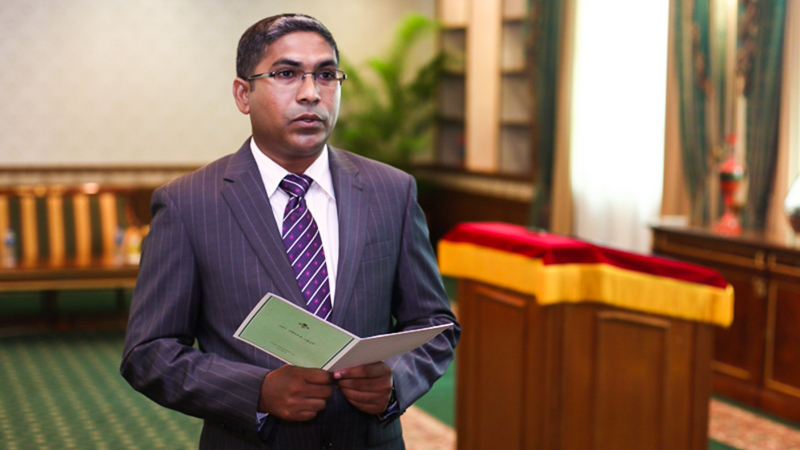 Former Auditor General Niyaz Ibrahim, in the first television interview since his abrupt removal from office, has made shocking allegations over President Abdulla Yameen’s involvement in the embezzlement of public funds. In an explosive interview with Raajje TV on Saturday, Niyaz also estimated that as much as MVR3.5billion (US$230million), and not US$80million as noted by the press, has been lost from the recent scandal involving the state-owned tourism promotion firm Maldives Marketing and Public Relations Corporation. When he first flagged the issue in a 2014 report, Niyaz said some 14 members of his family received death threats. He was subsequently removed from his job. Yameen had also offered him a luxury flat at the time, he said. The US$6million he had flagged was probably spent during the contested parliamentary elections of 2014, which saw a win for the ruling Progressive Party of the Maldives. If the state had taken action the amount would not have climbed to US$230million, he said, accusing the president, police, parliament, the watchdog Anti Corruption Commission and the tax authority Maldives Inland Revenue Authority of complicity. Below is the full transcript of the hour-long interview. Hussain Fiyaz: More than a year ago, in mid-2014, when you were Auditor General, you published an audit flagging corruption and embezzlement from MMPRC. You said some MVR77million was taken from MPL and another US$1million from MTDC in the name of buying dollars. What were your findings during that investigation and what action did you take? Niyaz Ibrahim: We conducted an audit in October 2014, on a complaint lodged by a member of the public, to see the truth behind these allegations. As you have noted, we found that large amounts of money was obtained from MPL in the name of buying dollars, and transferred to two private companies, one of them, Montillion was a company then-Tourism Minister had a stake in up until the day he assumed the post of tourism minister, he may still have interests there. The second was Millenium Capital. That money was then channeled to other accounts. The same thing happened to the US$1million they obtained from MTDC, channeled to the accounts of individuals and private companies. 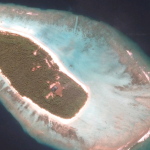 We also noted that some US$2.5million from an Italian national for the sale of an island owned by the state was deposited with Montillion, and that half a million dollars from the amount was deposited to the accounts of a senior tourism ministry official in Singapore. We forwarded the inquiry to all investigative bodies, the Anti Corruption Commission, Maldives Police Services, the People’s Majlis. In addition to submitting the report to the President of the republic, I personally met him, I informed him that the issue was serious, that public funds were being transferred to private accounts, that money from the lease of public lands was not entering the state treasury, but being deposited in private accounts owned by companies and individuals, I brought these matters to the president’s attention. That is all I could do in my post as Auditor General. We could not conduct further inquiries or press charges. I believe we fulfilled our constitutional responsibilities to the fullest. In carrying out that audit, as we noted in the report, we faced immense challenges and obstructions. Even with those challenges, and based on the information we were able to obtain, we revealed massive embezzlement of public funds. HF: What kind of obstructions did you and your team face then? NI: First, there are people who called me on the phone and threatened me. Several state institutions, including important watchdog bodies, withheld information required for the audit. Then-Tourism Minister Ahmed Adeeb, who was in China, accompanying the president on a state visit at the time, personally called me and threatened me. He accused me of undertaking the audit claiming I was prejudiced against him, and said that the findings were baseless, that I would have to face bitter consequences. But I told him this was my constitutional duty. You do what you must, I will do what I must do. On state bodies withholding information, I would like to note that it was MMPRC that withheld the most information. We obtained very little information from them. The tourism ministry was not cooperative at all, they blocked information and refused to answer our letters. From independent institutions, Maldives Inland Revenue Authority played a key role in blocking information. I sent letters and personally met MIRA board members and officials, and explained the authority and powers granted to the Auditor General, I did the same with MMPRC MD Ziyath and senior officials. But all of them mocked me. MIRA did not answer repeated requests for information. The MMPRC, Tourism Ministry and MIRA must bear responsibility for obstructing the inquiry, this has resulted in massive losses to the state. HF: Can MIRA, a body that collects revenue on the state’s behalf, legally withhold information? NI: The Audit Act very clearly says that the Auditor General can request information from any institution, if it’s a state institution, the AG is authorized to enter their premises without prior notice, and if the information is stored in private premises, we can enter with a court warrant and collect the required information. But our employees do not know where this information was stored, and without [MIRA’s] support, we could not do this. I met them personally after they refused to answer two letters, but it was in vain. That constitutes a criminal offence. Every single party that withheld information has committed a criminal offence. The Audit Act says obstructing the Auditor General’s mandate is an offence punishable by law. Action must be taken against those who were identified in the report as having obstructed the investigation. HF: Did you ask from the relevant authorities for action against those who obstructed the investigation? NI: We flagged the issue in a report that was made public. As I noted previously, we submitted the report to the Maldives Police Services, the Anti Corruption Commission, the President’s Office and the People’s Majlis. We brought this matter to the attention of bodies that are authorized to take further action. But we did not see any action by the president, the parliament, the police or the ACC. Up until October, until the alleged bombing on the president’s speedboat. They were sitting idle, they did not have the courage to investigate or even question Adeeb when he was in power. But I believe the Auditor General’s Office did its duty. HF: In your previous audit, you noted that public funds were channeled through two private companies, as has happened now, to other individuals. Who were the funds channeled to then? NI: We looked into how the funds were disbursed through the banks. The MVR70million from MPL and the US$1million from MTDC, from what I recall, a majority was deposited in Millenium’s accounts, and then Montillion’s. We also checked to some extent where the money went from there. We faced some difficulties in clarifying this as well. We did not publish this information in the audit report because we did not have strong enough evidence then. But given the information that has surfaced recently, I can say that we discovered that the funds went to members of the parliament. But we did not reveal this then because the money was not directly deposited into the personal accounts of MPs, but to accounts linked to their businesses. This was done so that they could make the counter argument that, for example, funds transferred to Montillion was for a service they had rendered. But we know Montillion was not engaged in any business activity. That justification is not strong. I believe those funds went to members of the People’s Majlis. That was during the 2014 parliamentary elections. This money must have played a major role in those polls. The money was disbursed to MPs in amounts as big as $200,000 and $300,000. If a proper inquiry is undertaken, these allegations can be established as fact. HF: There are allegations of money laundering against the government. You have noted that there are no clear details of how those funds were channeled, but that they were transferred to MPs and businessmen. And that the company in question was not engaged in trade. Is it possible that the two companies you mentioned were fronts for money laundering as well? NI: The two companies’ main activity was channeling public funds to different parties, for various purposes. I could also make contracts, promissory notes, that I agree to sell you dollars. For example, if MVR70million is available from the state, and if I want to give that money to you, you and I could agree that you agree to sell dollars, and then it appears legal, and according to them, the document is valid. But the fact remains the hidden intention there is to channel public funds to other parties and misuse public funds. I am not a legal expert. But I believe that was done with the wrong intention, and that is illegal. And so their conduct, including board members of those companies, must be investigated, and if their actions constitute as money laundering, charges must be filed against them. HF: You have alleged that the mastermind in the MMPRC case is President Yameen. You have told the press that you met with Yameen and shared this information. But you did not reveal the details of that meeting. How did Yameen react? What did he say? NI: Well, before publishing the audit report, I met the president. The Audit Act states that I must bring cases involving major fraud to the president’s attention. I thought it would be best that I speak to the president before publishing the report, given that the case involved such large amounts of money and an influential minister of his cabinet. So I asked for an appointment and met with the president at his office on the afternoon of the day the report was published. I was shocked by the president’s response. I say this because his reaction was not acceptable to me as an individual and my job as the Auditor General. He said “What is the problem here? What has been lost from the state?” He said he believed that I, the Auditor General, was being prejudiced. I said state funds have been lost here. The transfer of public funds to others is unlawful, and a loss to the state. I, too, could start a lucrative business if funds are available like that, and return the loan later. But, it shouldn’t be limited to a specific group of people. It should be accessible to everyone. And I noted that funds that should have been deposited in the state treasury was transferred to Montillion, Adeeb’s accounts, and that the US$2.5million paid by an Italian national for the head lease as payment for Dhaalu Atoll Maagau, I said this is a loss to the state. But he refused to listen. Instead, he tried to convince me that this was right and beneficial to the state, that these matters should not concern the Auditor General. I was shocked by such words from man who had promised in God’s name to protect our rights. It is shameful and dishonorable. That response is not one any Maldivian citizen would have expected from the president. HF: President Yameen, since the latest audit report, has said that he is not involved at all. Based on your findings, meeting with Yameen, and information you obtained later, do you think Yameen is directly involved in the latest loss of MVR1.2billion? NI: I believe wholeheartedly that the president has been negligent. I say this because a state body, mandated to look into such cases, brought this issue to his attention and he denied it and attempted to cover this up. He used his powers to remove me from my post. I believe [Adeeb] had the president’s full backing of the president. If the president had acted in the interest of the people, the moment such an accusation is made, he would have looked into the truth in the matter. If he had done so, we would not have lost MVR1.2billion. If an investigation had been launched then, we wouldn’t have lost this much. In my report I noted some MVR77million had been taken from MPL. But today, the latest audit shows this amount had gone up to MVR205million. When I analysed this report, from the date I published my report, October 2014 to today, the embezzlement figure has in fact doubled. So the president, whether directly or indirectly, must have encouraged Adeeb to do this. I believe Adeeb must have had that backing and certainty when he did all of this. He must have had the president’s support to even dare to transfer money that should have been deposited with the state to other private accounts. HF: There are allegations that the misappropriated funds were transferred to the president and the first lady’s accounts. Based on what you found and what you know, how much truth is there to that claim? NI: I will not speak of what I do not know. During our audit, we did not find transactions implicating the president or first lady. But I have seen such allegations made on social media, pictures of deposit slipe, but I can certainly say that those funds went to MPs, prominent businessmen, and some senior officials of the tourism ministry. HF: You have noted in your audit the difficulties you faced in accessing information. The current audit notes that MVR1.2billion was embezzled. What would the real figure look like with the proper information and if islands were leased at the market rate? NI: I analyzed the latest audit report before this interview. This report too, has a disclaimer, saying they were not able to obtain a lot of information and that the figures noted may very well be higher. 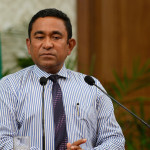 The figure of MVR 1.2billion, used by the media, was noted as one observation. That is just the US$79million or MVR1.2billion that should have entered the MMPRC, but was transferred to two to three private companies and one individual. I believe the actual value embezzled is much higher. I have reasons to say so. When I looked at other observations in the report, the figure amounts to MVR2.849billion. 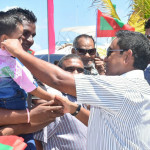 This is excluding kickbacks – many Maldivians have said that even a meeting with then-tourism minister could cost thousands of dollars, we cannot even know the real value of the bribes deposited in the accounts of then-tourism minister and his associates by those who were awarded islands outside of a competitive process. Moreover, I also believe if properties had been awarded through a competitive process, the state would have gained double the amount listed as revenue from head lease fees. Excluding these figures, my estimates based on the report’s observations show the figure is MVR2.8billion. If kickbacks are investigated and if those figures are included, I think the figure cannot be lower than MVR3.5billion. HF: When so much money has been lost, when documents show, as you yourself have noted, that various stakeholders, from the president to state institutions have been negligent, do you think we would be able to recover this amount? NI: [laughs] On that question, that money could be recovered if the responsible institutions of the state have the will and the courage to do so. I do not know what the law says. But in any other state, the state would seize and sell the properties of those involved in the embezzlement and recover the lost funds. It can and should be done. However, I think a majority of this money has already been spent. Those involved may not have assets worth the value lost, so we may not be able to recover the full amount even by selling off their assets, for example I do not know if the owner of SOF, the company identified in the report, has that kind of personal wealth. This money has been spent on various activities and expenditures. I do not think we will able to recover the full amount. But the loss to the state must be recovered, even if it’s done by selling their personal properties, this must happen. The question is whether the state’s institutions are capable? We suffered this loss because of the negligence of so many actors. From the top to the bottom, for example the president, this was brought to his attention, his subsequent actions are very clear to the public. Let’s look at the People’s Majlis, there is a select parliamentary committee set up to take action on the Auditor General’s reports, to hold the government accountable – the public finance committee. What has the chair of the public finance committee done all this time? Why didn’t the public finance committee inquire into this case? Why didn’t MPs hold the government accountable? They did not because the public finance committee’s composition was set to block such actions. In any other country, the committee would be headed by an opposition parliamentarian, to ensure the government is held to account. But the ruling party, as soon as they came to power, made sure that the committee would be headed by their parliamentary group leader. He has been negligent here too. The entire committee and the entire parliament have been negligent. And where has the Anti Corruption Commission been? If they had launched an investigation before, the Maldivian public would not have suffered this loss. They were sitting idly, doing nothing. Because of Adeeb’s influence. They did not have the courage to launch an inquiry. I do not know if the police looked into this case. From the president to the parliament, to the state’s independent institutions, the ACC, MIRA and the police, all of them have to bear responsibility for this loss. HF: Will it be difficult to recover the money since the checks made out to MMPRC were deposited in private accounts instead of the MMPRC accounts? NI: No, its very clear what has happened to the money through the banking system- who had issued the check, who the checks were awarded to, and that then-MMPRC MD endorsed the check deposit in other accounts. If the transactions could be traced, it will be very easy to recover funds from beneficiaries. It can be recovered if the state wants to. HF: The audit report noted negligence by the banks, the central bank. How much responsibility should the banks and MMA bear? NI: Regarding the latest report I only know of what was published. I do not know what they had discovered during the investigation. I cannot speak on negligence by the banks without that information. However, I can say that in countries with proper banking systems, when large amounts of money are transferred from one account to the other, or withdrawn in hard cash, banks have internal systems to monitor suspicious transactions. For example in the UK, their money laundering laws mandates a designated officer, who is required to monitor deposits on a daily basis and report suspicious transactions to the relevant authorities. During the previous MMPRC audit, we noticed that a part of the MPL cash was deposited in the accounts of a prominent businessman, and on the same day, the cash was withdrawn in hard cash, in amounts up to MVR30-40million. From that point on, it is hard to trace hard cash transfers. The transactions which took place through the banking system are recorded, and clear to see, if such records have not been deleted or destroyed. With such transactions, I think the bank has been complicit. The bank should have reported the issue to a specific unit at the MMA. Officials there should have taken action, but from what I know, that did not happen. HF: How strong is the banking system here, including the MMA? NI: I am not the best person to comment on that. I am not a financial expert. But I can comment on the state’s policies on public finance. To tell you the truth, abuse of the state treasury has not been limited to a single government, all governments have done so to varying extents, from the beginning. The first state position I held was at the Auditor General’s office. Since then, I noticed that all governments abuse public funds for personal use. I thought then, and continue to believe that if this money is used well, the Maldivian public would live better lives. There are major loopholes in the public finance system. First, the public do not how much revenue the government earns, how much is spent, and how much is remaining. And the value of state assets. The public doesn’t know. During Nasheed’s administration, these figures were published, but this information is no longer published, it’s concealed. The accounting system is weaker than that of a corner store, and payments are disbursed on a cash basis. Countries from our neighbors to the most developed countries, have transitioned from cash transfers to a proper accounting system. But we lag way behind. The culture that has become entrenched in our public sector is to follow orders by superiors, without question. They do not check if such orders are legal or not. In all institutions and ministries, they follow the minister’s orders, they do not check what the law states, they see the minister as all-powerful. In all countries, there are designated rules and procedures for the state treasury. No official, including the president and ministers, can violate those rules. If they do, they must bear responsibility, be held accountable. We do not have those norms here. And speaking of accountability; as you know, based on just a single report, I lost my job. These mechanisms do not work here. So there is opportunity for [corruption]. Those who abuse the system know there are no consequences, they do not have to face consequences, that they will escape. How many people have been jailed or prosecuted for the abuse of public funds? How many have had to pay damages? None so far. This is just one example that shows the extent of the problems with our system. HF: You just mentioned that there has been abuse of state funds and corruption in every government. The current regime alleges that some MVR4billion was embezzled during President Nasheed’s tenure. They are linking ministers to loss of millions on social media and other platforms. Is this based on your reports? NI: I do not know how they came up with the figure of MVR4billion. A majority of those reports were published during my time as Auditor General. They can tout some figures, but those making such allegations do not even know what corruption is. Even when they are in the thick of it, they do not know what it is. Those figures are being touted by people in such a state. When they say millions from, say the education ministry – audit reports do not just flag embezzlement, audits note embezzlements, violations of public finance laws, weaknesses in a office’s accounting systems. Maybe they have added up all those figures and labeled it embezzlement, but embezzlement has a very specific definition. Those figures are not like the MMPRC case, where state funds were directed elsewhere to other accounts. We noted two-three embezzlement cases then. A disaster management case where a private company billed the state twice for the same services and embezzled funds, and a health ministry case. Embezzlement is clearly stated in audits, and other issues are also noted with figures. For example, I had noted that the education ministry in 2011 or 2012, had spent some MVR50million or MVR60million over their budget. If this is included in their figures on embezzlement, that figure would be very high. All the figures they are touting are not cases of embezzlement. The audit reports clearly specify what was embezzled, but if they add up all the figures noted in an audit’s observations, they may reach that figure. HF: You are an experienced auditor with long years of experience. Is the MMPRC corruption the biggest case we have seen in our history? NI: Since I joined the audit office, that was in 2000, there hasn’t been a case as major as this. Before that, there was a case involving FPID. But I do not know much about that case. This is the biggest crime of this kind committed against our people in Maldives’ history. HF: You have noted that money was transferred to MPs. How were these funds used, according to your investigation? Who were these MPs? NI: I will not name specific names. I can only speak about what is already there in the public domain, and what I know from conversations with people. I can definitely state that funds were transferred to PPM MPs. I have evidence to prove this, the evidence is there at the audit office. On how the money was spent – I cannot say exactly how it was spent, but that was during the People’s Majlis elections. I believe the money was withdrawn from MPL with the aim of using it during the election. I say this with reason. The president refused to look into this matter when it was brought to his attention, and on the day the Audit Act was amended, PPM Parliamentary Group leader [Ahmed] Nihan sent a message to all PPM MPs that was then shared with me by a PPM MP on the same day. The message said that all MPs must keep in mind that the money Adeeb took was for their use. That before they press the button, they should remember that it was Niyaz Ibrahim who made an issue out of it. This shows they knew exactly what was happening and that this they had planned this together. When you look at all these events, it is clear that senior PPM officials, together, planned this in advance with the intention of embezzling public funds for use during polls. 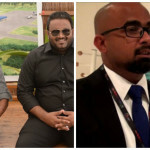 HF: The managing director of SOF, a company identified as having received the bulk of embezzled funds in the latest audit, has said the funds were used to run PPM. Did your inquiry show that these funds were used for PPM’s use? NI: Our audit did not show that the money went directly into PPM’s accounts. I did not have the opportunity or the access to information to look into such details. Now [SOF’s MD] is saying the money was spent on PPM’s expenses – that is possible. There is ample opportunity for any government to misuse public funds and spend it on political party activities. Political party financing is not that transparent in the Maldives. The public does not know who finances parties and by how much. This is information that has to be made public in other countries. The people must know, whether its PPM or MDP or any other party, who finances those parties and by how much. It must be transparent. Political parties must be audited and their annual reports must be published. There must be laws, a legal framework that mandate parties to make public who their key donors, say the top ten or twenty donors. When the government makes policies, the public must know whose interest the government is prioritizing over public interest. The public cannot judge this without access to such information. These laws do not exist here. Everything is concealed. Which party’s accounts are accessible to the public? So the opportunity is there, but I did not find this in any audits I carried out. HF: A topic of public interest is black money. A 2011 IMF report has noted weaknesses in our system to monitor money laundering. We’ve seen three governments in power, but their failure to take action means such allegations are now stronger than before. Why is it that we are unable to take corrective measures? Stop the circulation of black money, and strong action to reform the financial system? NI: I am not a politician, but in my view, the honest answer to that question would be that the fault lies squarely with the People’s Majlis. The MPs we elected, who swore to protect the rights of the Maldivian public, are first and foremost interested in enriching themselves. Halal, haram doesn’t matter, no matter where the money comes from, they use it to buy land, speedboats. I personally know MPs who, on signing with a particular party, suddenly get rich. All of a sudden, they own land and boats, big speedboats. What we are seeing are the results of MPs prioritizing their own interests over that of the public. Businessmen will only act in their own interest, expand their businesses. The parliament is controlled by Maldives’ businessmen. This happens everywhere in the world, but the difference is that in other countries, the public knows which businessman controls what, but we don’t know that here. I would say that what we are seeing today is the result of a parliament that does not care about the public. HF: There are allegations that the government bribes MPs and other influential people. When you published a critical audit about this government, did you receive offers from the government, whether the president or his deputy? NI: I only received threats from the vice president. There were only two ministers who threatened me during my tenure as Auditor General. That was then-Tourism Minister and the Finance Minister. I did not receive any direct threats from the president. I would not say I received direct offers, but as you know, when we were working on the audit then, my family and friends advised me to take security measures, because I was looking into the actions of an influential, powerful and some say dangerous man. So I wrote to the police, the parliament and the president seeking protection. As I recall, three days after I sent the letter, the president called me from his personal phone, said the government is considering providing housing for the Auditor General. He specifically said that the government would receive ten flats from the complex being built near TV Maldives premises, and said he was thinking of awarding me one. I told him that I believe it is the People’s Majlis that should designate the privileges and pay for the Auditor General, not the government. I said I could only accept such an offer if it was decided by the state. I cannot say for sure that offer was made to influence the audit. Similarly, during my tenure as Auditor General, I did not accept any offers from anyone. For instance, in connection with Ramadan, I would often receive cans of fish, household appliances such as mixers, from places like STO, but I rejected them. The president’s offer caused me a lot of anxiety. He never directly told me to stop my work or that he would [hand me that flat]. HF: The law states that the president, ministers, state officials and MPs must declare their assets and any gifts they receive. The president claims he receives money from foreign sources, as gifts and other means. During your tenure, did the president declare his assets and did he do it properly? NI: The asset declaration system in the Maldives is very weak. There is no legal framework. There is no law; just a provision in the constitution that states the president must declare assets with the Auditor General. So the Auditor General has to accept whatever documents are submitted. We designed a set of forms that request a lot of information. But everyone always submits the minimum information. I received records of the president’s assets during my time. But some influential ministers, including then-tourism minister, as I have noted in my report, and the economic minister, never reported their assets, despite repeated requests to do so. There were other ministers who also acted above the law. But the president regularly declared his assets with the Auditor General. That information should be at the Auditor General’s Office. HF: During your tenure, you also audited the judiciary. We can see that those who criticize trials or matters concerning the judiciary are often punished. How was your experience? NI: The audits of the Supreme Coourt and the Judicial Services Commission are among the most challenging audits I undertook as the Auditor General. When I published those reports, the Supreme Court summoned me. The entire bench was there. They asked me a lot of questions. They asked me why [I had published the audit] and said that my actions had brought the Supreme Court into disrepute. I told them I was carrying out my constitutional duty. It is not the Auditor General’s Office that maintains the Supreme Court’s reputation, but the court itself. It is not acceptable when the Auditor General is summoned over reports he publishes. Even with the JSC audit, they came to the audit office and challenged me over the report. But we defended our constitutional duty. I also had some phone calls from influential people over the Supreme Court audit, including the incumbent president. I was in Hong Kong on an official visit when he called me and questioned why and with what intention we had published a report about the Supreme Court. I told him these are facts, based on our findings. There have been several such incidences, but I would not call them major challenges. I was prepared for them. HF: You have said that you received threats regarding the first MMPRC audit. What happened? NI: On the day the audit report was published, myself and some 14 members of my family received death threats, saying that they would chase us out of the Maldives, that they will kill us, and chop us up into pieces. There were some messages from my phone that went to others. I reported these threats to the police, but they recently called me and told me they are filing the case because they cannot proceed with the case any further. I told them I have nothing to say, that I had done my duty and reported the threats. They have filed the case now. I do not know if anyone was questioned over this incident. The death threats – it wasn’t just me, my entire family, my siblings, and even my in laws. We did not sleep for two to three days, because we were getting various threats. HF: In your audit report on MMPRC, you provided details on the loans. But there’s not much detail in the current report. What are your opinions on this report? NI: I have no questions over the integrity and capabilities of the staff that worked on the audit. From what I hear, the same team worked on both audits. But they certainly did not have a conducive environment to carry out this audit. We know that the Auditor General recused himself from the inquiry and handed it over to the assistant auditor general. But it is ultimately the auditor general who decides on all matters concerning the assistant auditor general, the report was examining allegations against the auditor general’s brother. So they must have been reluctant, because they do not want to get into trouble. As you’ve said, the scope of the current audit is quite limited – it only examined whether money that should have been paid to the state had entered the treasury. Some of the beneficiaries were named and others were concealed. The report did not reveal where the money ended up. I don’t think we included such details in our report either. It may be that this is what they were advised to do. The attorney general’s office has always questioned the extent of the investigative powers of the auditor general. They continue to insist that the auditor general does not have investigative powers. But that’s not true. The auditor general can access any information he wants, whether that information is used during the judicial process is another matter. The auditor general has the power to access information, but I don’t think they did so this time. This audit’s scope is very limited. HF: PPM parliamentary group leader Ahmed Nihan has just denied your claim that he had sent a message to MPs. What is your response? NI: On that same day, an MP forwarded that message to my phone. Maybe they don’t know, but a lot of MPs, I shouldn’t say many, but some MPs did support me. They shared a lot of information on what was happening amongst them, that they were planning to amend the Audit Act after I began the audit, I was kept informed throughout. So an MP shared this particular message with me on the same day. I think I should still have it. If he wants to deny, he can deny it. I only saw what was forwarded to my phone. Maldivians know very well who these people are. They would argue night is day. This is their level. That this message was sent is a fact. I have that message saved on my phone. HF: You have alleged that it is President Abdulla Yameen who masterminded the biggest corruption case in Maldives’ history. Do you think the state’s investigative bodies can conduct an independent inquiry? What can be done to ensure a fair investigation? NI: We do not have an environment conducive for an independent inquiry within the state. From the auditor general’s office to the anti corruption commission. There is a climate of fear, people are afraid they may lose their jobs. Some people are quite greedy, for money and status. Their interest often is defending their jobs instead of carrying out their constitutional duties. That is the very reason we are where we are today. If they had taken action when the first audit was released, things would not have escalated to this level. I do not think an independent and just inquiry is possible right now. Someday when there is a change in politics, when a more just government assumes power, then only will we see a fair inquiry. The only other solution is for a special commission, agreed by all parties, to undertake the inquiry. Whether this could be successful or not is a different story. Based on the composition of the Majlis today, I do not think this would be easy. HF: Before we conclude, is there anything you would like to note regarding the audit report and how we can prevent state corruption? NI: There is a lot we must do to stop corruption. The list is too long for me to detail in a program like this. The final point I’d like to note that the public, too, has been negligent in allowing things go this far. 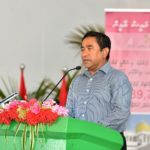 When our hard earned money is misappropriated for the personal use of a specific group of people – the figure touted by the media is MVR1.5billion, I’ve said that this figure cannot be lower than MVR3.5billion, and I have outlined my reasons – if this amount had been used in the public interest, to provide basic services, imagine how many people, how many islands would have benefited. It doesn’t seem to me that there are citizens who think about these issues. There do not seem to be any who learn lessons from such incidents. The culture here, from what I hear, is selling votes for a small amount of money. Maldivian citizens must think deeply about these issues. As an individual, I would never vote for someone who abuses public funds. This is the principle I follow, and I have told members of my family as well, that voting for such people would only encourage them. We must learn from such incidents, and we must speak out, in one form or the other. It’s a very few politicians who are working against this. We do not see civil society organisations or professionals speaking out on this issue. Everyone is afraid, I do not know why. But I think we must speak out, we must stand up against this, no matter which government is in power. We must show that we are unhappy, that we would not tolerate such behavior, that we would demonstrate, then only can things get better. HF: In relation to the threats you received, do you face additional difficulties today? NI: There’s a lot of difficulties. You may have heard through the press that I worked in a private company after I left my post as auditor general. But I had to leave that job as well because they were facing a lot of pressure by the government. I have heard that an independent institution of the state also pressured them. There are challenges like that. I have no interest in working for the state, because I do not want to work in a post that would compromise my independence. I would not work for the state without such an environment. HF: I have one more question before we conclude. You worked for Villa Group after you were removed. You’ve said an independent institution of the state attempted to have you removed from that job too. Which institution was that? MMPRC? NI: I heard that it was the head of the Maldives Inland Revenue Authority. I do not know the truth, but I received this information from two to three very reliable sources. That was when the government had terminated several agreements with Villa, the case had gone to court, and they also took up a dispute over taxes, Villa was under a lot of pressure. Before I left my job, I met with the chairman, and he told he was under pressure because I was employed there. He told me, with great sadness, that the best thing would be for me to leave my job. I told him I did not wish for Villa or anyone else to suffer because of me, that I bore no grudge, that I am leaving of my own will. HF: Thank you Niyaz for speaking with us.